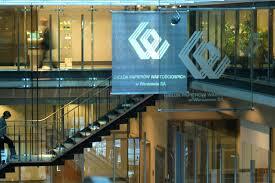 Poland’s main trading bourse, the Warsaw Stock Exchange (WSE) has announced positive trading metrics for August 2013. The largest equities and derivatives trading venue in the eastern and central European region saw strong performance across all asset classes, signaling positive figures for 2013. The value of session trading in equities on the Main Market was PLN 17.2 billion (US$5.2 billion) in August 2013, an increase of 19.8% year on year. The incremental value of total trading in equities on the Main Market was PLN 171.5 billion in January-August 2013, an increase of 23.0% year on year. The total volume of trading in index futures decreased by 1.0% year on year to 552.0 thousand contracts in August 2013. The total volume of trading in currency futures more than doubled to 286.3 thousand contracts in August 2013, compared to 104.8 thousand contracts in August 2012. The incremental volume of spot and forward transactions in electricity reached 104.7 TWh year to date, an increase by 69.8% year on year. The monthly volume of trading in property rights was 1.6 TWh in August 2013, a decrease of 52.1% year on year. The aggregate volume of spot and forward transactions in natural gas was 48.4 GWh in August 2013, while the incremental volume was 580.5 GWh year to date. The Warsaw Stock Exchange announced this week that it will offer participants low latency trading via its new co-location facility.